If you have been in a auto accident, call 24hrs Car Accident Attorney Javier Marcos. He Speaks Spanish. Attorney Javier Marcos is an accident lawyer who can help you in your accident case. Such as car accident, truck accident, dog bite, accident at work, construction accident, bicycle accident, any type of accident. He can also help in other types of cases such as exposure to chemicals, falls, death by negligence, and liens in construction; when they owe you money. We go you wherever you are 24 hours a day. In our office we all speak Spanish. In case of an accident it is better that you do not let time pass and you should not talk to the insurance company. It is best to call Accident Attorney Javier Marcos as soon as possible to begin your case. Houston in the fourth largest city in the United States. According to the Texas Department of Transportation, there were about 47,585 accidents in Houston in 2012. And 176 accidents of those accidents were fatal and about 193 result in death. Attorney Javier Marcos is a lawyer in Houston who can help you in accident cases as well as in liens in construction. The first thing to do after an accident is to call 911 and then immediately Attorney Javier Marcos. For more than 19 years, Accident Attorney Javier Marcos has defended the rights of Hispanics. He is the attorney for Hispanics. He is a professional accident attorney with a lot of knowledge and legal experience. Focusing primarily on accident and litigation cases. He knows how to take good and quick decisions to attack the other side and has a record of excellence. You should not let time go by and you should not talk to the insurance company. 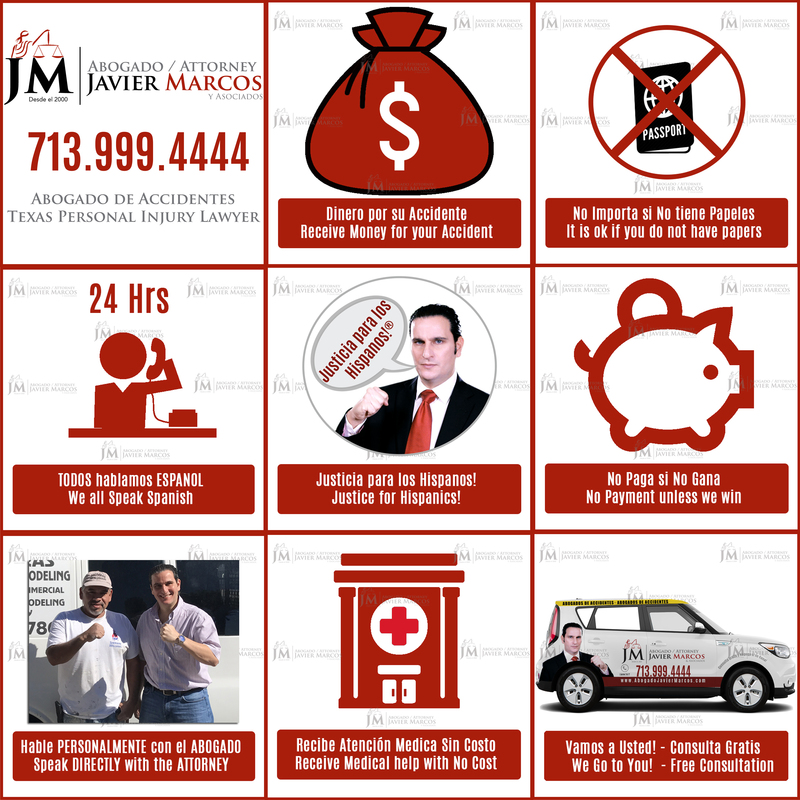 In case of an accident, call the accident lawyer Javier Marcos immediately and 24 hours a day at 713.999.4444. Speak directly with the Attorney. Free consultation 24 hours a day 713.999.4444. We go to you wherever you are. Receive medical attention at no cost. If you do not feel good, it is better to visit the doctor. Do not wait, call accident attorney Javier Marcos 713.999.4444 immediately. Here you do not pay anything if you do not win. Receive money for your accident. It does not matter if you do not have papers or are illegal. If you do not speak English, do not worry, here we all speak Spanish! Lawyer Javier Marcos speaks with you in Spanish. If you have suffered a car accident, it is advisable to call auto accident attorney Javier Marcos. 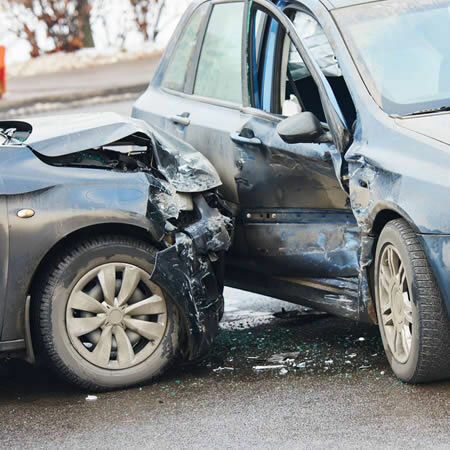 A car accident occurs when a vehicle collides with another vehicle, an animal, a tree, a person or another obstacle in the street such as a lamp post. More than 80 people die every day in the United States due to an auto accident. From those accidents 40% end in death due to alcohol. 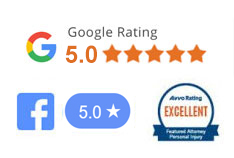 If you have suffered a car accident, the car accident Attorney Javier Marcos is ready to help you 24 hours / 7 days a week . Read more. According to the “OSHA” agency, one in five workers died last year in a construction. Most were due to falls, electrocution or caused by an object. 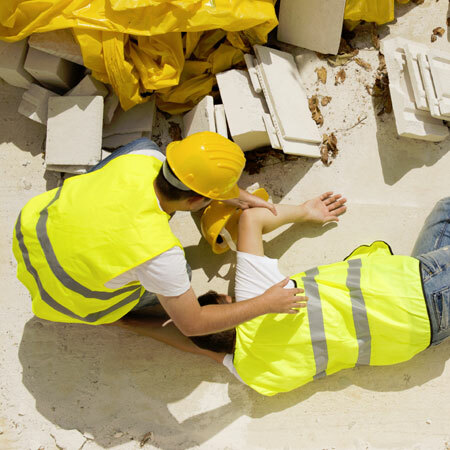 If you or someone you know is injured or died in the workplace, you will need a work accident attorney such as Attorney Javier Marcos. If the accident was due to negligence of the company or the person who contracted it. You may have the right to compensation for the suffering, pain or death of the loved one. You should call immediately to obtain better results in your case. Your immigration status does not matter, if you are here illegally, without permission or with a work visa, we can help you. Read more. 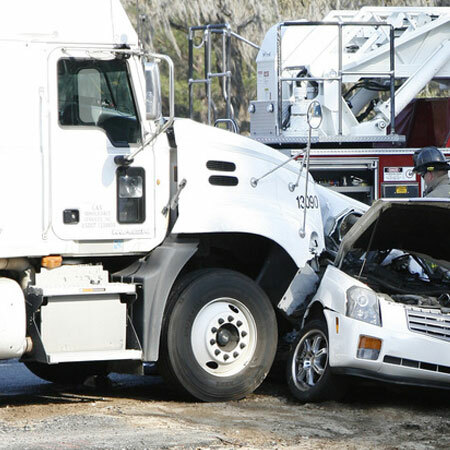 If you suffered an accident, do not let time pass, call truck accident attorney immediately, Attorney Javier Marcos. Houston is the fourth largest city in the United States and an accident can change your life completely. Each year there are 300 deaths related to accidents with trucks. Of this number, 2,000 of those end up injured. Due to many reasons like many drivers do not follow the rules of the road, they can be under the influence of alcohol, they go very fast and can not stop, cell phone use, distraction, among other factors causing the truck accident. You need a truck accident attorney with a lot of experience and knowledge that defends your rights. Attorney Javier Marcos is ready to help you 24 hours a day. Once you call a truck accident lawyer, you will receive medical treatment at no cost and consultation with the lawyer in Spanish is free. Read more. If you have suffered an accident, call Attorney Javier Marcos 24 hours a day! An accident happens when you least expect it. At the auto accident lawyer’s office, we work to serve you as quickly as possible. You can call the office 24 hours a day and everyone here speaks Spanish. We are available for you and ready to assist you in your accident with bilingual attorneys in Houston. Attorney Javier Marcos helps you in getting the money owed in the construction projects. Do not wait for them to tell you: “I’ll pay you next week” and then a week later they say, “Next week”. You should not Allow more than 30 days to pass from the date you finished the job or you will not be able to place a lien on the property. If those 30 days pass without being paid, it is very difficult to recover the money you are owed. To recover your money, you must call Attorney Javier Marcos, specialized in construction liens, in less than 30 days from the date that the construction work ended. Read more.